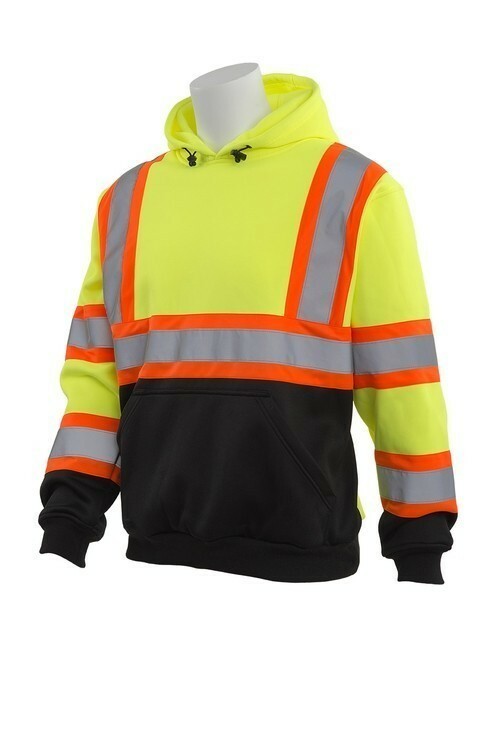 ANSI 107 Class 3 Sweatshirt with contrasting trim.. 100% soft polyester fleece. Attached hood with drawstring. Black bottom conceals dirt & grime. Large pass through front pockets. Aware Lite reflective trim.